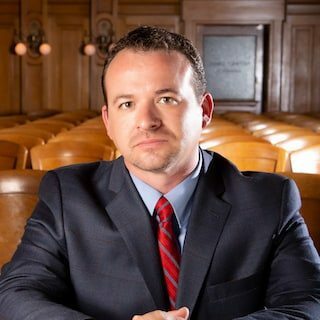 As a former felony prosecutor, Mr. Weaver tried cases ranging from DUIs to felony Crime of Violence cases, with an outstanding rate of success. While a County Court prosecutor, Patterson became one of the few attorneys in the state of Colorado to try and win an evidentiary “Shreck” hearing on the admissibility of Drug Recognition Expert (DRE) testimony. For his efforts, the Pikes Peak Region DUI Taskforce gave him the “Complex Prosecution Award." More recently, Mr. Weaver has earned a Superb rating from AVVO and accolades from a number of professional organizations including the Super Lawyers, National Trial Lawyers, National Academy of Criminal Defense Attorneys, and the American Institute of Criminal Law Attorneys. Mr. Weaver utilizes his experience as a tough former prosecutor to effectively and passionately defend clients in all manner of criminal cases, including DUIs, domestic violence cases, misdemeanors, and felonies. Since founding his own firm, Patterson Weaver Law, Mr. Weaver has expanded his practice areas to include probate litigation and personal injury. Mr. Weaver has successfully litigated several multi-million dollar probate litigations. Patterson Weaver Law’s core mission statement is “We Help People.” To meet that mission, Patterson Weaver and his staff endeavor to treat every client with respect, empathy, and compassion, while working to achieve superior outcomes. Mr. Weaver offers free initial consultations in all of his practice areas, and would be honored to discuss with you how he can help with your situation. Contingent fee arrangements available on Personal Injury representations as well as appropriate Probate Litigation / Will Contests (on a case-by-case basis). Reasonable rates. Most criminal cases are flat-fee. Basic probate representations are hourly. Patterson Weaver recently opened his own law practice, with a focus in the areas of Criminal and Traffic Law, Estate Planning, Probate, and Landlord-Tenant Law. Patterson Weaver prides himself on providing excellent legal services at reasonable rates, and in providing excellent customer service to each and every client. Mr. Weaver worked as primarily a Criminal Defense Attorney, handling a large variety of cases, ranging from serious felonies to DUIs to minor city traffic tickets, with an excellent record of success. Mr. Weaver also handled cases in the areas of Domestic Relations, Landlord-Tenant Law, and various other matters. Patterson Weaver prosecuted a wide variety of cases while with the 4th Judicial District Attorney's Office. Mr. Weaver began in County Court where he handled hundreds of DUI, traffic, domestic violence, and other misdemeanor cases. Mr. Weaver was then promoted to become a felony prosecutor, and handled serious felonies, including Crime of Violence (COV) cases. Honors: Graduated top 20% of his Class; Selected as Most Outstanding Barrister in 2009 by the University of Denver Sturm College of Law Student Body; Criminal Representation Clinic Outstanding Student Award 2008; 1st Place Hoffman Cup Trial Competition 2007; 1st Place ABA West Coast Negotiations Competition 2006; 2nd Place DU Negotiations Competition 2006; Semifinalist Moot Court Motions Competition 2008; 2nd Place Team, Regional American Association of Justice Team (perfect closing scores) 2009; Semifinalist, NACDL Mock Trial Invitational (awarded Outstanding Advocate) 2008; Scholastic Excellence Award--Trial Practice 2006; Scholastic Excellence Award--Torts 2005. Awarded the Complex Prosecution Award for preparing and trying a Shreck hearing on the admissibility of Drug Recognition Expert testimony in Colorado. The transcript from the hearing and the resulting order are still regularly provided to young Deputy District Attorneys as a model for the issue.